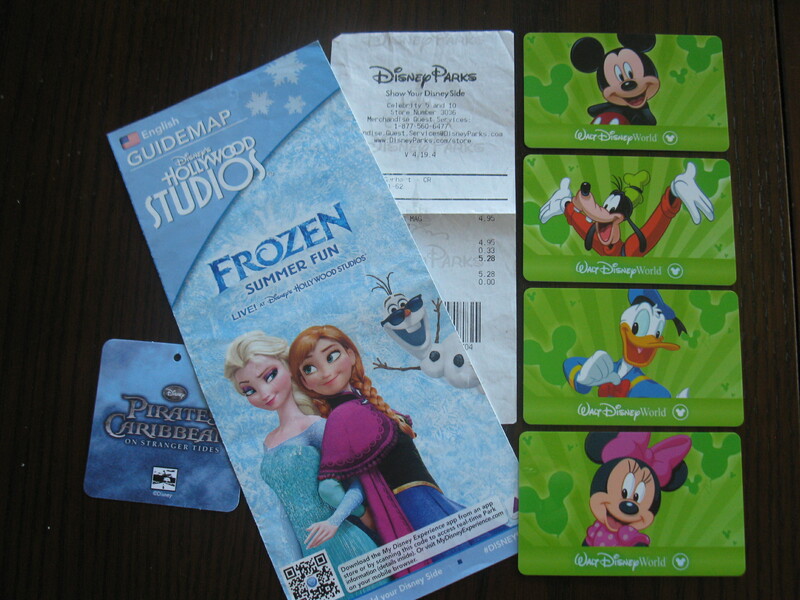 Disneyworld Fast Pass Plus Passes – better known as FPPPs. Like sand after a day at the beach, New Zealanders seem to get everywhere. We’ve just entered Orlando’s Disneyworld Hollywood Studios and are exchanging our vouchers for day cards with our pre-booked rides scheduled. It’s called Fast Pass Plus and is hopefully easier to use than it is to say. There’s something wrong with the accent of this “Cast Member”, as all Disney employees are called – she doesn’t have one. Saskia from Auckland has done well to end up in Florida for her holiday job, and seems genuinely pleased to talk to fellow kiwis. 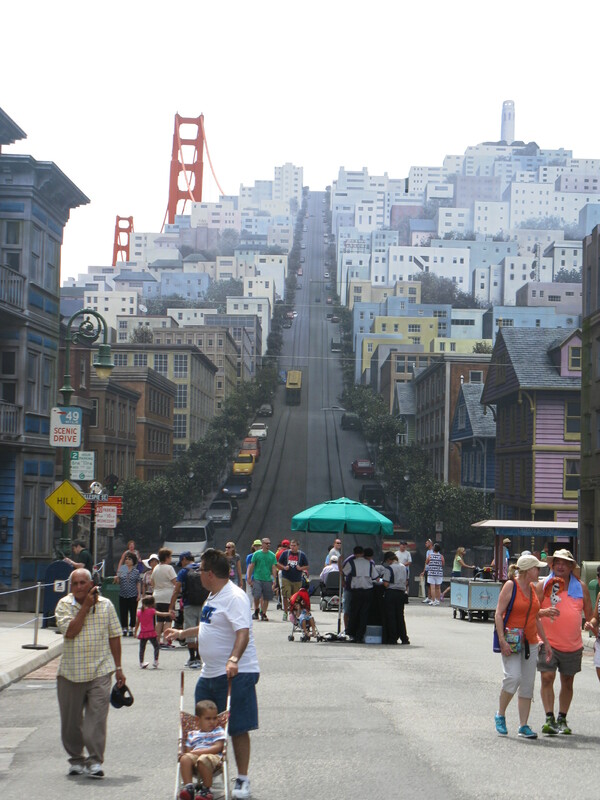 Apparently they’re quite scarce here; most New Zealanders head to Los Angeles for their Disneyland experience. 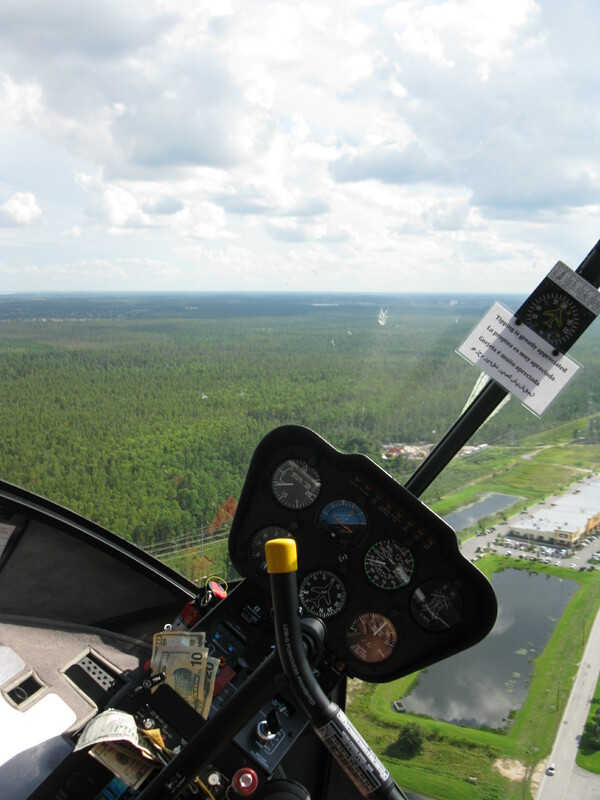 the day before – thanks International Heli-Tours! Yesterday was a much-needed day off. We’ve maintained a busy schedule on this holiday and the trip across Florida from Orlando to NASA and Cape Canaveral was tiring for all of us. I had the chance to grab some supplies, and noticed a Venezuelan takeaways that I hope to try later. 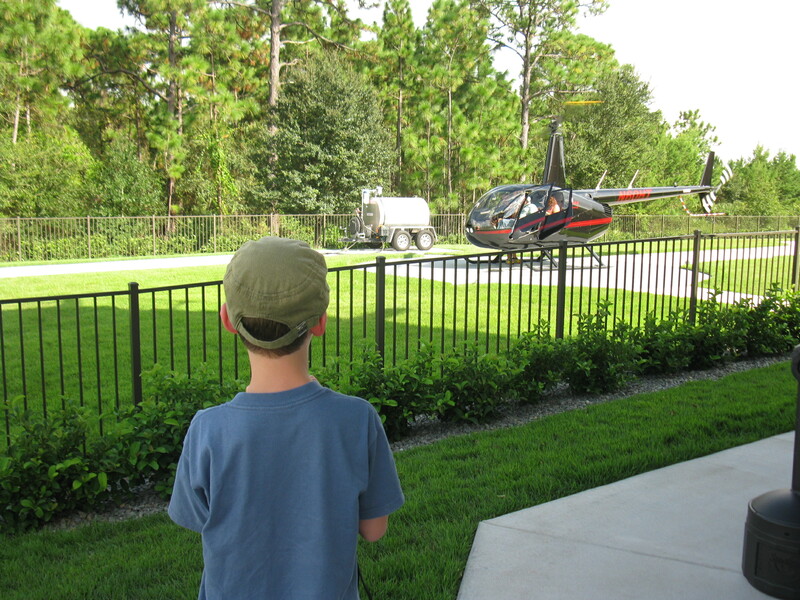 There’s also a helipad down the street and Sam and I enjoyed a ride in the afternoon. 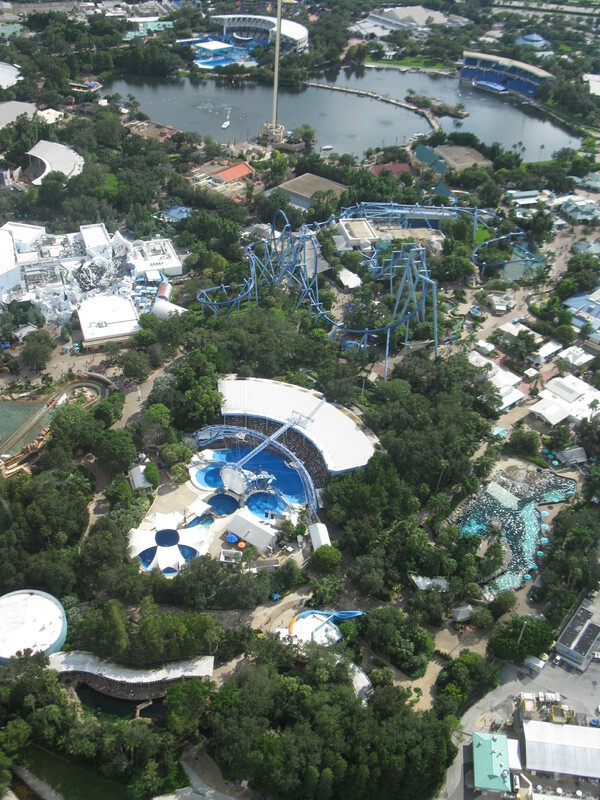 We had very clear views over our Hotel and various amusement parks. It was Sam’s first time and he loved it. Dom wasn’t keen, but I’m sure he’ll get another chance one day. 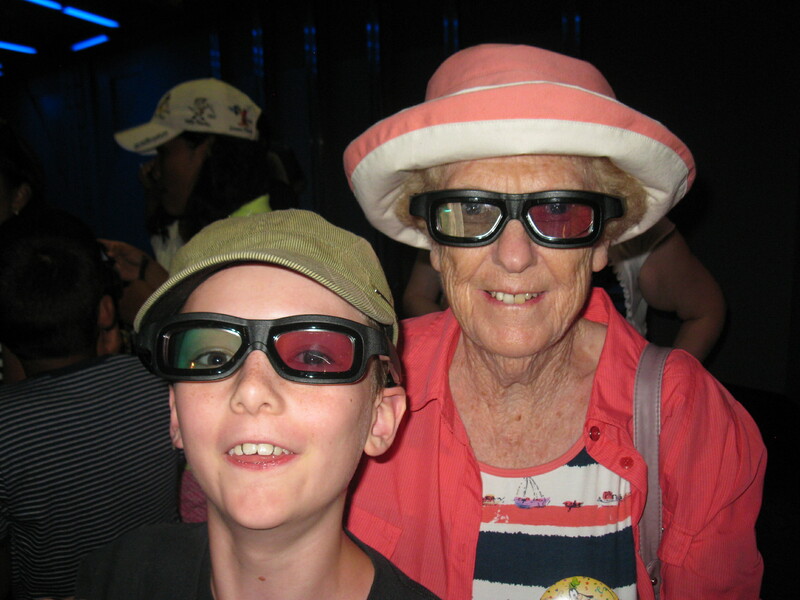 Our Disney days are the main reason for this entire trip, and today is the day when my Mum finally gets to take her grandkids to Disneyworld. This morning we’ve arrived in the middle of a Frozen frenzy. My boys have heard that “it’s a girl’s film”, so none of us have seen it. I can’t see that changing. Our first pre-booked attraction is the Toy Story ride, and we’re a bit early, so after a quick encounter with some very green soldiers, we pop into The Legend of Captain Jack Sparrow. 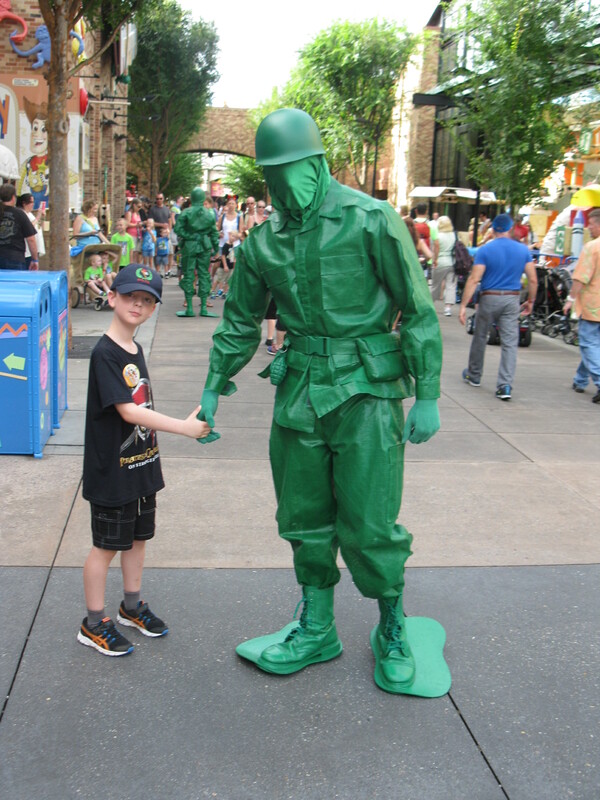 Dom meets generic green soldier. I had loads of these a long time ago. No flash photography is allowed, and my photos capture little more than the fact that we’re in a dark room. The video above is thanks to the good people at UndercoverTourist.com. A talking skull introduces us to Captain Jack, and the figure before us is so realistic that we’re not sure if this is a projection or a very impressive Johnny Depp look-a-like. 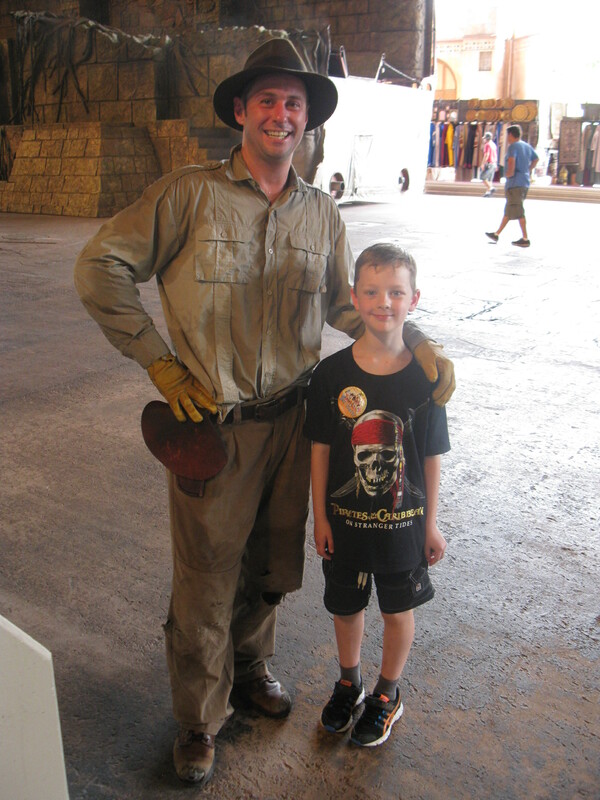 Dom is convinced that he’s in the presence of Captain Jack and is slightly nervously obeying all instructions. If he’s enjoying this, it’s quite subtle. 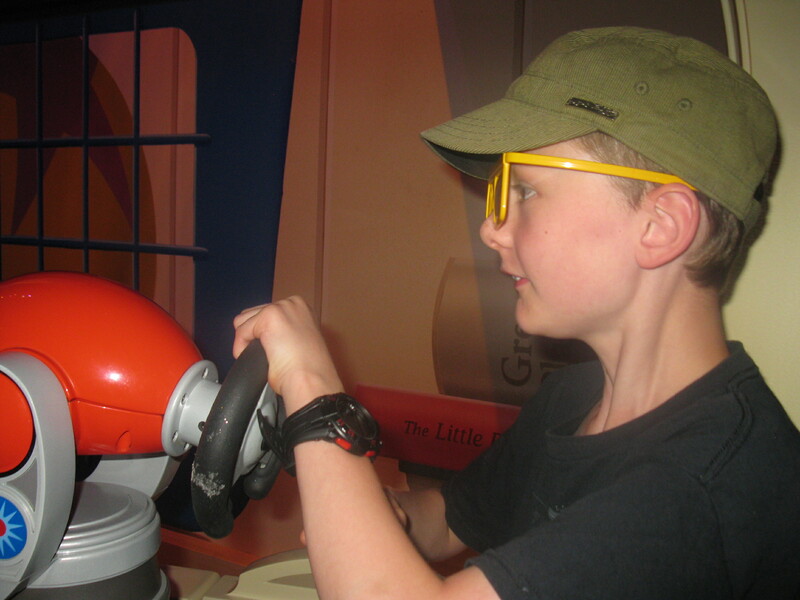 We confidently scan our cards at Toy Story, but are met with a very unpromising beep. A beep of rejection. Our expected pre-booked times don’t match the order we thought we had booked, so we’re a few hours early. It turns out that Star Tours is scheduled first, and we have plenty of time to get there. Almost showtime in the Muppet Show theater. Not sure if Dom likes pink glasses. Once more, we’re in need of an interim attraction and Muppet Vision 3D is chosen. This one’s a winner, much better than Captain Jack. Statler and Waldorf are in fine form, and the 3D effects are impressive. If every show is like this, we’re in for a lot of fun. I get no photos of this one at all, so it’s thanks to Martins Vids for this video above this time. Getting ready for Star Tours. Black Glasses this time. 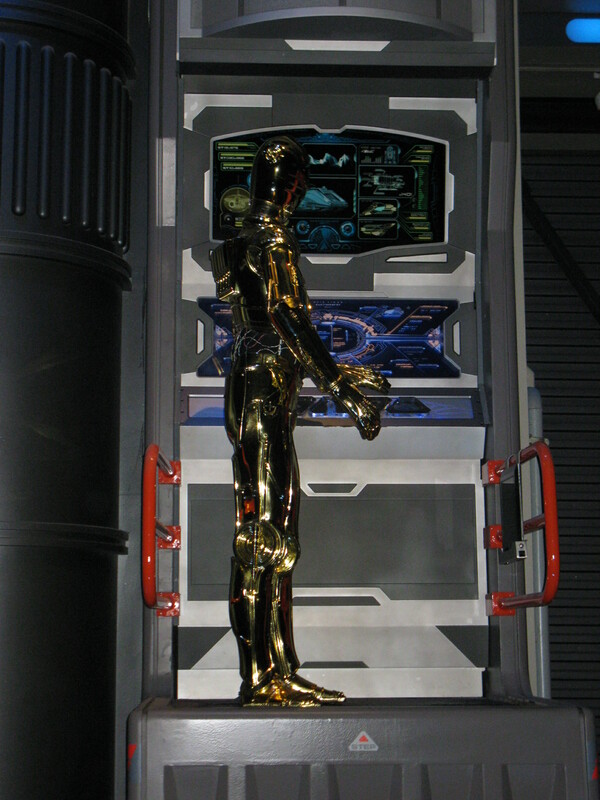 Finally we reach Star Tours, a 3D ride which turns out to be more like a simulator than expected or promised to Dom. After an initial panic, Dom enjoys the ride, but Mum’s back isn’t supposed to be subjected to sudden jolts. She assures me that she’s fine, and it’s a bit late to stop now anyway – we’ve already made the jump to lightspeed. The boys tell me that this was even better than the Muppets. It’s a very successful day so far. We have a quick break for ice creams from Toy Story’s Pizza Planet – not because we’re hungry, but because we’re on holiday and ice cream at any time of the day is just fine. There was a very impressive photo in the guidebook from the Honey I Shrunk The Kids Movie Set Adventure, so we head there next, but unfortunately it’s a dud for my boys. It looks more like a daycare with babies everywhere, chewing on oversized props that are supposed to be blades of grass. The guide says that this is best for ten and under; more like 2 and under. 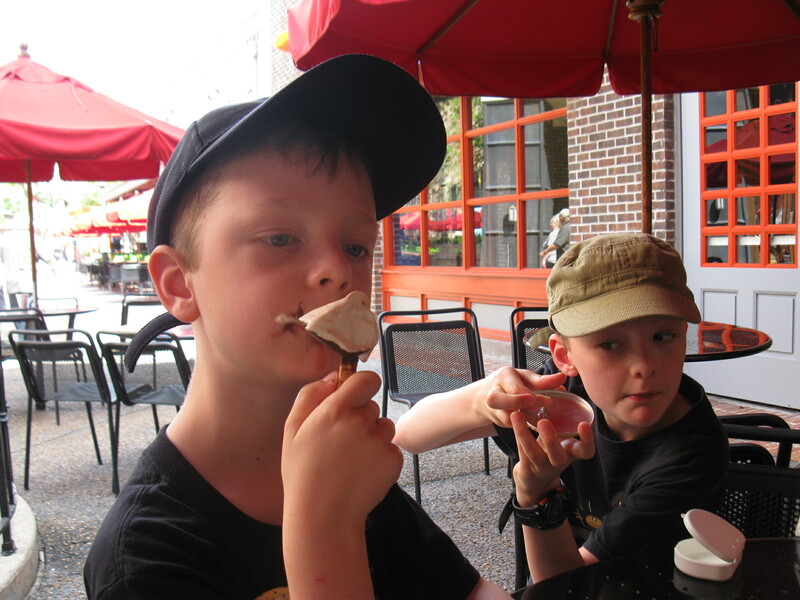 We needed to make an early start to catch the first bus to the Park, so despite the ice creams, the boys are getting hungry. We try to increase the nutrition factor for lunch, but nutrition is off the menu today. The boys make do with chicken nuggets with fries, and I thought I had surprised the “Cast Member” by ordering the wrap. In retrospect, it wasn’t a look of surprise; it was a warning. The “wrap” too comes with fries – everything comes with fries. We can’t help but notice that there are some very large people here, moving very slowly through the foodcourt. They don’t look very happy. They also come with fries. 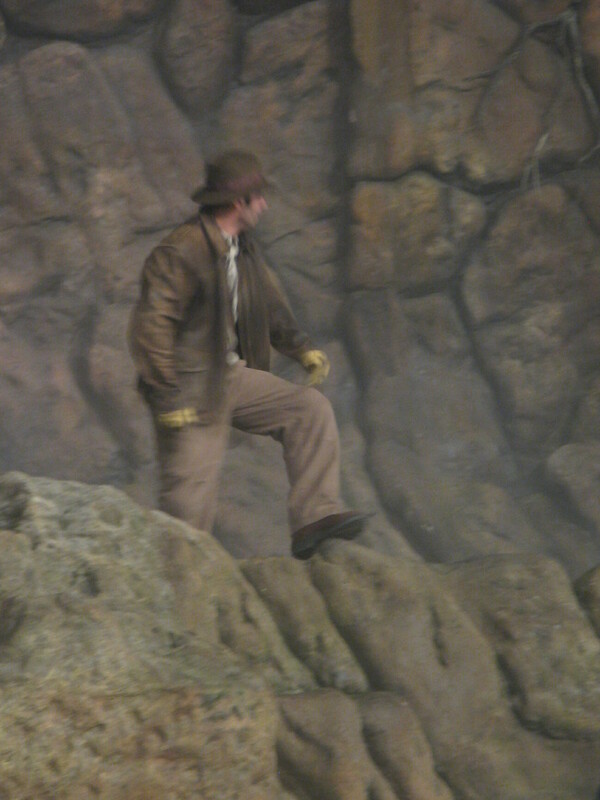 We catch the end of the Indiana Jones Epic Stunt Spectacular so that we can get good seats for the next session – but not too good. My boys aren’t the kind that want to be picked to go on stage. Dom gets a photo with a dirty Indie between shows – it’s genuine dirt, not stunt dirt. The show starts and it isn’t long before we get a feeling that this is all very familiar. It appears that we didn’t see just the end of the previous show; we’d seen all but the first few minutes. We see the same stunts, hear the same jokes, meet the same Abdul, it’s a new and cleaner Indie, but the same smiles from our overly ebullient hosts. Finally we’re back to Toy Story. We’re shown to our vehicle and spin through various scenes, while firing beams at targets with our toy guns. 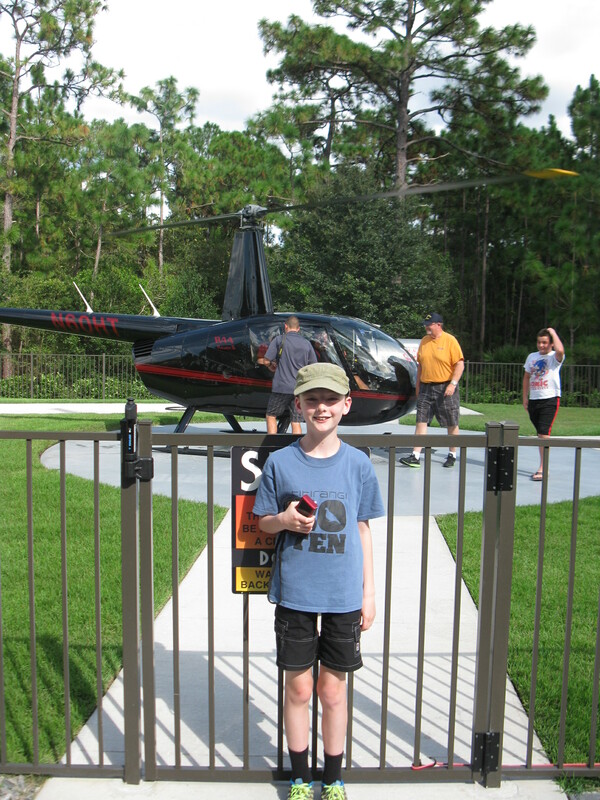 This ride is Sam’s turn on the victory dais, and while he’s thrilled, I’m slightly concerned at his shooting skills. It’s been a great day, but we’re now running out of time and energy. We have one show left – the modestly named Lights, Motors, Action! Extreme Stunt Show. 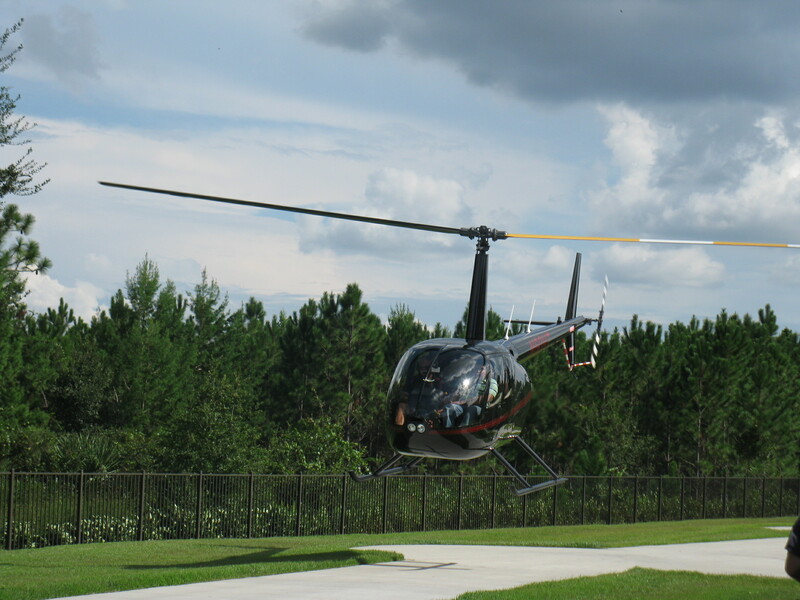 It’s a behind-the-scenes look at vehicle action sequences, and is held in a large outdoors area. 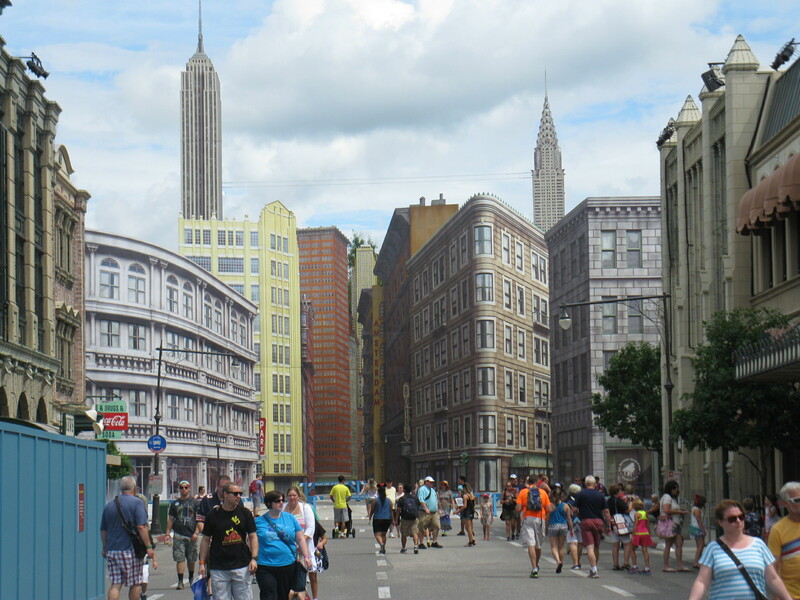 To get there we head through the “Streets of America“, a series of facades depicting San Francisco and New York. Today has been a steamy day and the skies are now starting to look very threatening. 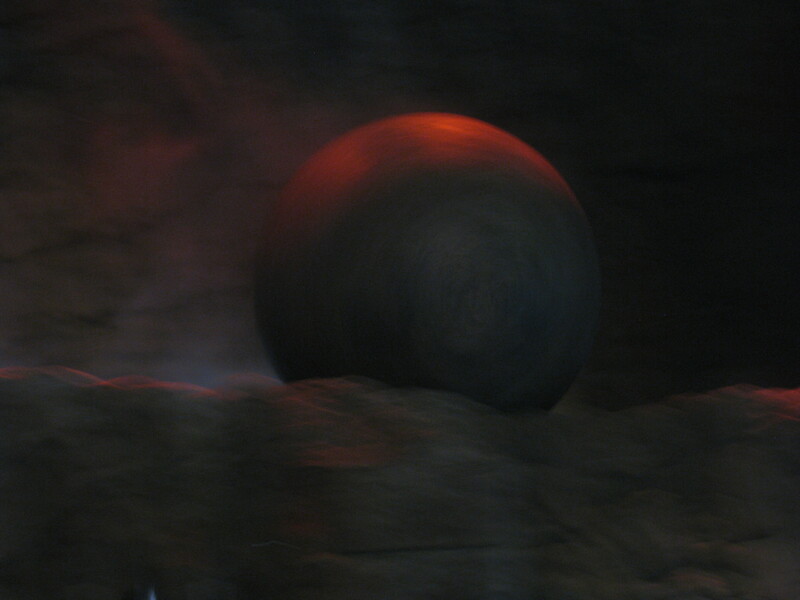 We decide that being stuck outside for the next hour may not be smart, and that finishing off with an indoor attraction would be a safer option – although with potentially fewer explosions. 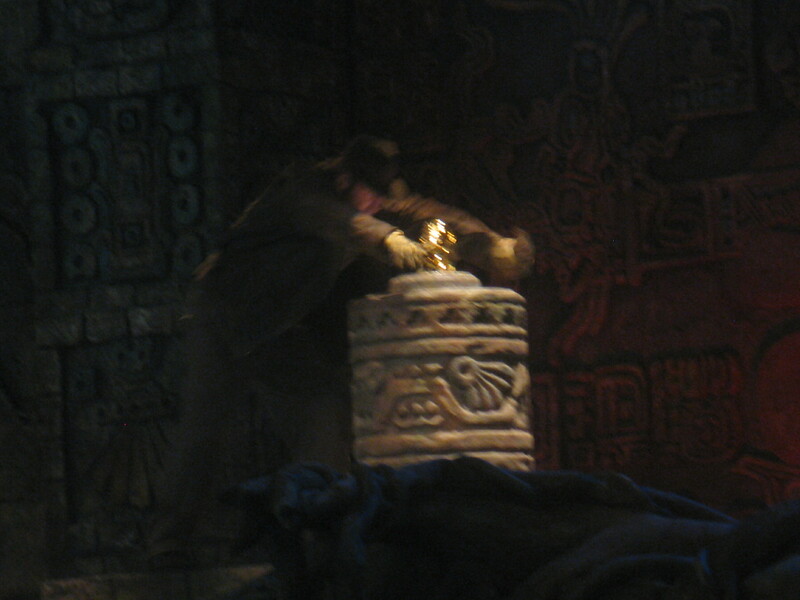 We head to The Great Movie Ride in the replica of Mann’s Chinese Theater. We sit in the dark and are slowly guided through scenes from famous films. Compared with the technology of other rides, it’s all a bit lame. Occasionally Mary Poppins or Toto move a limb, or a Pirate repeatedly gives us a wink. Its like taking a slow train through Madame Tussaud’s. We leave the Theater to the sight of rain bucketing down. We still have time before the bus arrives, so a quick decision is made to catch another indoor attraction – hopefully not as tragic as the last one. 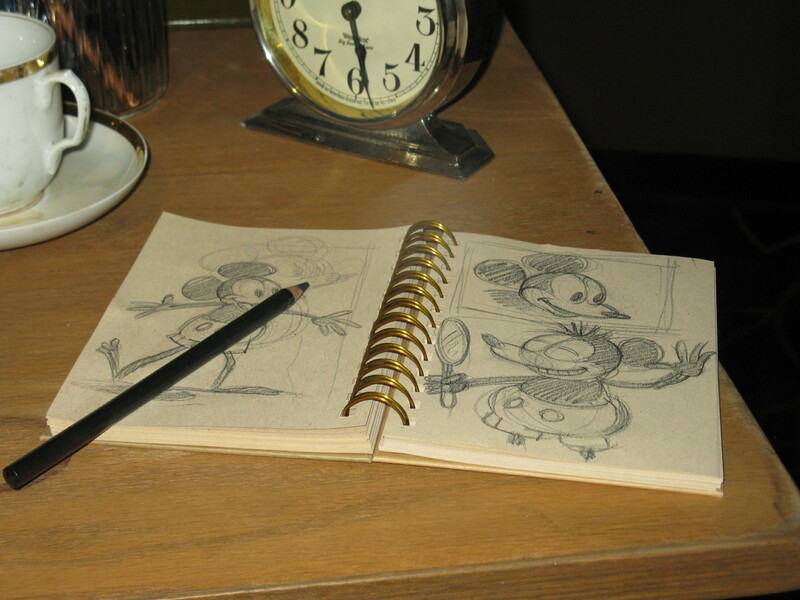 We try Walt Disney: One Man’s Dream. It’s an interesting series of displays and memorabilia, followed by a 15 minute movie. 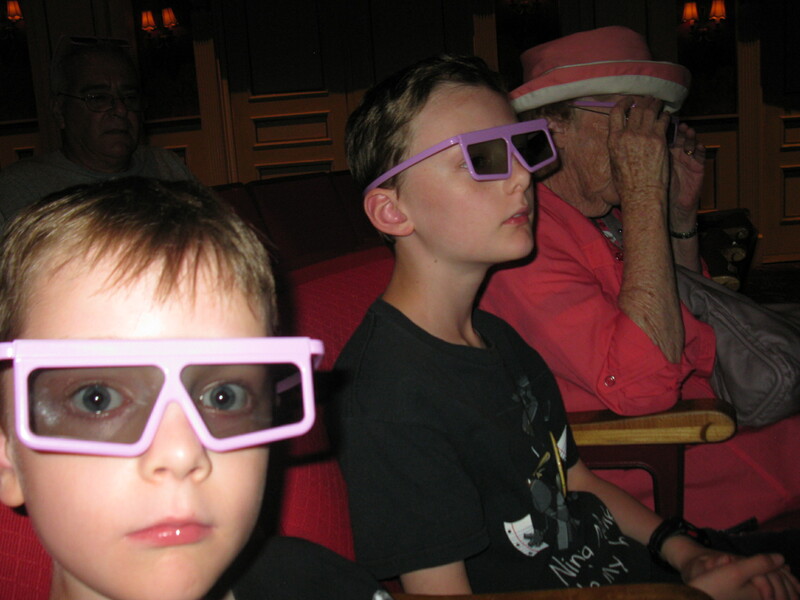 The footage of old Disney movies brings back a lot of memories for me, but many are unfamiliar to my boys. I realise I have a few gaps to fill in my kids’ movie education – it may be too late to introduce them to Dumbo. We make one of our quicker fridge magnet purchases, and take our bus back to the Hotel. Some of the bus drivers here are more skilled than others in the art of tip generation. Today’s driver has spotted a kid called Jeroen, and singles him out for special attention. A A series interrogation is just met with laughter, so our driver is left with no option but to call a colleague to the bus for back-up. Together they loudly call for security as “a situation has arisen”. My boys also find this hilarious, and fortunately so does Jeroen. Picking the wrong kid could easily end in tears. The night finishes with a view of the fireworks from Disneyworld that light up the city. It’s been a memorable but long day, and for once it isn’t too hard to get the boys to bed. Luckily, the frogs in the pond outside have the same idea. We have another early start coming up tomorrow. 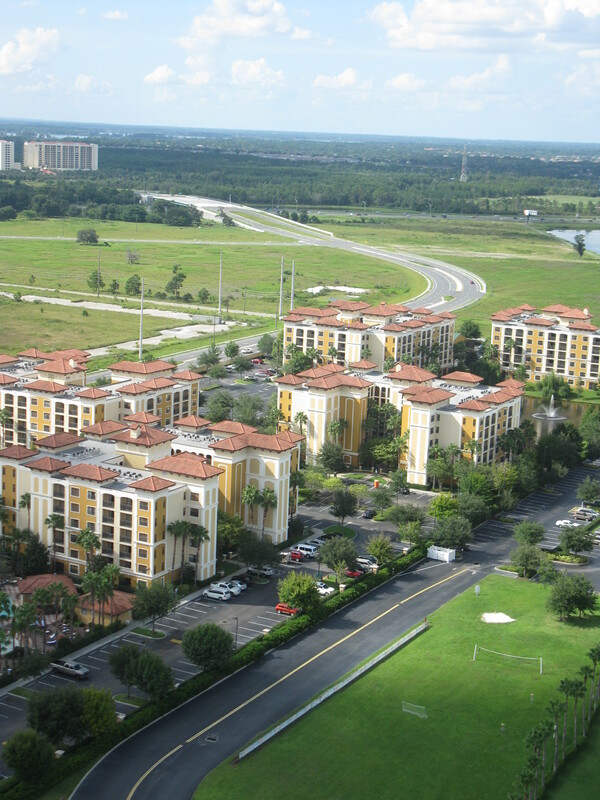 This entry was posted in Travel and tagged Action! 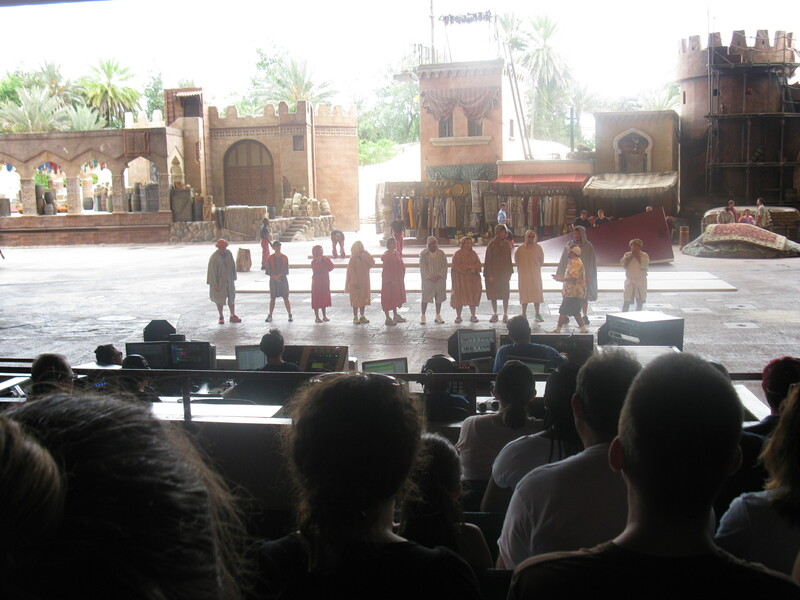 Extreme Stunt Show, Captain Jack Sparrow, Disneyworld, Fast Pass Plus, Florida, Great Movie Ride, Helicopter, Honey I Shrunk The Kids, Indiana Jones Epic Stunt Spectacular, International Heli-tours, Lights, Motors, Muppet Show, Muppet Vision, Pizza Planet, Star Tours, Toy Story, travel, Walt Disney: One Man’s Dream. Bookmark the permalink.